When it comes to being a consumer, Nigerians are never left out of the act. Funny enough, its either we are among the few who are fond of buying latest luxury technology or we're the masses who just have our say. 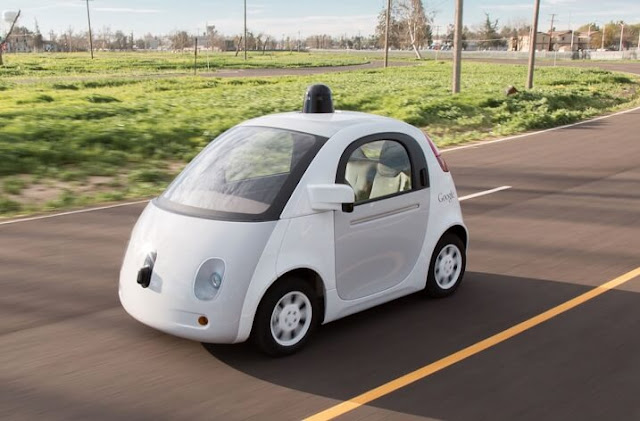 No matter the category you fall into, you must have heard of self-driving cars. Thanks to technology, these cars do not need any driver, they are capable of sensing the environment and navigating without human input. Even the US president, Obama has some affinity for these cars. As Uber and Google self-driving cars gradually hit famous cities all over the world, some curious Nigerians have been asking "When will self-driving cars come to Nigeria?" So far so good, no one has been able to give a reasonable answer to the question. I suppose if you ask my favourite president, he would say "Technically, ...this .. and technically that." This may look fun and entertaining while reading but can we see any evidence of truth in it? We aren't necessarily referring to our culture in this case but just the way we Nigerians live. So what are they? In the western world where the usage of self-driving cars is widely spreading, there are little or no potholes on their road. Therefore, this alone has ruled out chances of using this car on our roads. In as much as these cars need frequent maintenance, it doesn't come with a special Pot Hole Defence System and I know some Nigerians who would not stand a chance of spending extravagantly on maintenance. Self-driving cars also rely on traffic lights to know when and where to stop. You will quite agree with me that in Nigeria, there are lots of towns without street lights, the few we can boast of are either suffering from lack of maintenance or something else. Whereas in some places, we've got humans acting as the traffic light. Rich folks have no worries! On its arrival, they will surely afford it but with time, it becomes a pain in the but. Like I earlier mentioned, they'll need to do periodic repairs and maintenance. No Nigerian can withstand the pain of going to a mechanic 3-4 times a week. We've got these set of law agencies who are fond of stop cars all in the name of 'doing their job'. If those guys keep doing their job then there will be BIG trouble when your self-driving car gets flagged and it doesn't stop. Cyber Security has been one of Nigeria's biggest challenge. Therefore, bringing in a self-driving car would be an addition to our problems. Nigeria has good hackers hiding in the shadow and if self-driving cars show their presence in Nigeria, these hackers will see it as an avenue to practice their known skills. So if you plan on buying yourself a self-driving car and you've got anger management issue, please I beg you in the name of God!! Never offend any hacker or programmer else you will find your fancy ride swimming under Third Mainland Bridge. Lol. Nigeria needs rapid infrastructural growth in order to meet up with current world standards. They should learn from the Asian Tigers oh or else I go park go Germany. Lol.. never knew you had your eyes on Germany. Nice knowing. We're the future of the country, so I was told. But I've come to realize that it's true. The rapid growth of youths in Nigeria is the rapid growth of the country. I believe.